San Sebastian Salvador has been added to your itinerary. Your cultural itinerary includes sights like Pelourinho and Igreja de Nosso Senhor do Bonfim. Escape the urban bustle at Praia Farol da Barra and Praia do Porto da Barra. There's still lots to do: browse the eclectic array of goods at Mercado Modelo, take in the architecture and atmosphere at Igreja da Ordem Terceira de Sao Francisco, pause for some photo ops at Elevator Lacerda, and look for gifts at Salvador Shopping. For maps, other places to visit, more things to do, and tourist information, read Salvador itinerary planning app . 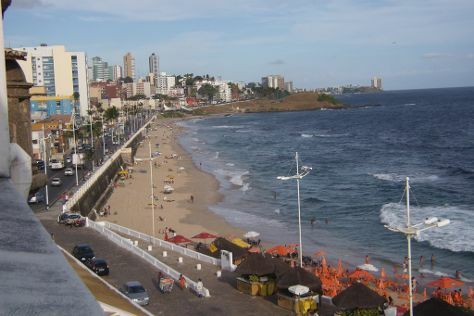 February in Salvador sees daily highs of 35°C and lows of 29°C at night. Wrap up your sightseeing on the 18th (Mon) early enough to travel back home.